The uses and benefits of Dandelion are truly mindboggling. AND it grows everywhere. For FREE! The leaves are very nutritious, being high in vitamins B-1,2,5,6 & 12. Like other leafy greens, they also contain vitamins C, E & D, beta-carotene, iron, calcium, potassium, magnesium, zinc, biotin, and phosphorus. The root also carries many medicinal properties as a potassium sparing diuretic, liver and gallbladder strengthener and bile flow stimulator. Dandelions are good for pretty much all things digestive so the list also includes the bladder, kidneys, stomach, intestines and pancreas. This makes for an easy way to remember how to use it; Double “D”. Dandelion = Digestive system. It is one of the safest herbal remedies and can be taken as a tincture, a pill, cooked in food or as tea, infusion or decoction. 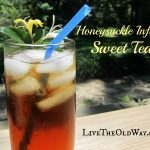 More information on the difference in a decoction versus a tea and how to prepare them, look for coming articles located the Herbal Medicine tab. For the tastiest dandelion leaves, harvest them in early spring before the flowers appear. You can then harvest again in late fall, preferably after the first frost when they will have lost most of their bitterness. 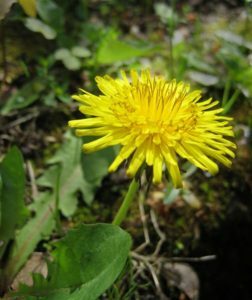 If you can’t wait for spring and fall, it’s possible to eat dandelion leaves year round as long as you don’t mind the bitterness. You can also boil out the summer bitterness in a couple of changes of water, but you’ll also be boiling out all the wonderful, water-soluble, vitamins too. No matter when you choose to eat them, dandelion greens offer a pleasant, distinct flavor raw in salads, steamed with sweet type veggies or sautéed with garlic and onions. They can even be canned or frozen to be used later in soups if you want to extend the palatability of the early spring harvest. In addition to the leaves, be sure to toss some blooms into your cooking. They can be harvested all year but are most abundant in early spring. Use only the flower’s yellow parts as the green sepals at the flower’s base are bitter. Try them in your salads, stir fry, casserole, or dipped in batter and fried into fritters. The yellow color is lovely in a wild salad beside violet petals! The root is edible all year, but is best from late fall to early spring. Use it as a cooked vegetable or in soups. Think parsnip when brainstorming what to make with it and pair it with sweet type veggies, just like the leaves. Some people pre-boil the root in a couple of changes of water, but I highly recommend long, slow simmering in soups for dandelion root. It will mellow its flavor and your soup will be infused with the vitamins instead of them getting tossed out in changes of water. Dandelion root is also a useful “vegetable” for people with adult onset diabetics. The sugar it contains doesn’t spike insulin like refined sugar does, making it an ideal addition to a holistic regimen for hypoglycemia (low blood sugar). – Leaves will be smooth, not hairy with a sharply jagged edge resembling teeth. You know, lion’s teeth; Dandelion, Dent de Lion. And teeth don’t have hairs. Now you’re getting the picture! – Flowers will always be a single blossom on the stem, just like Lions are solitary. Flowers will never be in multiples or be branched with many flowers. In the spring time, they will be close to the ground, as if they were a cat stalking you (instead of you hunting them). – Lastly, refer to your handy Peterson’s Field Guide or grab an experienced herbalist or forager for some tutoring. Enjoy your wild harvest and be creative! 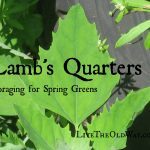 Anything you can put leafy greens in, you can also put Dandelions in! son, dug up a large Dandelion root, cleaned it and dried it in the oven then ground it up and made coffee with it, taste just like coffee! Yes, they sure are under appreciated! I love the wine story, those kids will probably remember collecting dandelions for the rest of their lives. That’s good childhood memory making! dandelions are wonderful and under appreciated. We made a lovely dandelion wine a few years ago when we had neighbors with young kids. We paid the kids a buck for a bucket of flowers and they brought tons! Dandelions are also great food for the bees in the spring, when their winter stores are running low.